Every small meat processor faces constant competition. But one family-owned and operated company in Mount Joy, Pennsylvania, has been repeatedly coming out on top of Goliaths on several fronts. In this case we’re talking about 62-year-old Hummer’s Meats. Since its founding in 1957, the company has fared well among many long-established meat specialty shops in Lancaster County where quality meats and great service are expected and appreciated. Hummer’s is in a small community that boasts major supermarket chains and a thriving bevy of eateries. They also compete with super gas stations that feature their own delicatessens. If that wasn’t formidable enough, they are also looking at competition from weekly farmers’ markets – in fact there are four within a 25-mile radius. And, did we mention online competitors who offer shipping and all that good stuff? Somehow, this family team takes on all comers and still hits pay dirt based on the company values upon which the business was founded. Jeff Hummer, who operates the firm’s flagship location, a 1,500-sq.-ft. retail shop in Mount Joy, says that in addition to family values and friendly service, the operation is predicated on fresh beef, local pork and poultry and specialty meat items. “Our signature items are our hams – wood smoked, sugar-cured with no water added for optimum flavor and texture. And our bacon – hand trimmed, lean and extra smoked that leaves less shrinkage in the pan,” Jeff explains. 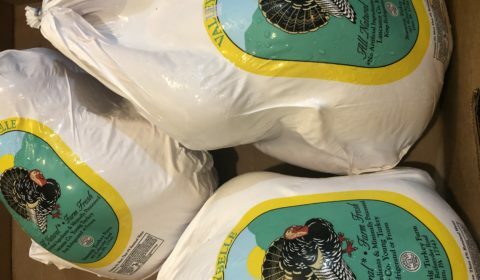 The president of the firm also notes that freshness, quality and service are what keeps them ahead of both the supermarket, buyer’s clubs and area meat specialty shops. Fresh meats pop in the store’s display case with their bright color, great trim and variety. Then there are the Cajun and turkey jerky, chipped dried beef, snack sticks, smoked ham hocks, ring bolognas, Lebanon and Pennsylvania Dutch style bolognas, hot dogs, kielbasa, pepperoni, landjaeger, smoked turkey, scrapple and pan pudding. Want a prime rib, a meat bundle or half a hog, or even a gift box? Let them know 24 hours ahead because this little retail shop is a beehive of activity. The doors open at 8 a.m., Wednesday through Saturday, but the parking lot is oftentimes packed at least 15 minutes before the doors open. Cheeses also play a huge role at the retail shop and at the other locations where they operate at farmers’ markets. They are made and smoked by other companies to their specifications. Hummer’s also has a hot deli for fried chicken and chicken livers, coated with their own custom blend of seasonings. Visitors wait for their hot orders at the retail store because they are cooked in front of them. The Mount Joy location was bought, remodeled and opened for business in 2002 when Jeff and his brother and business partner Doug took over their father Glenn’s company, then called Hummer’s Smoked Meats & Cheese. The farmers’ market end of the Hummer’s enterprise warrants attention. First on the list is Root’s Country Market & Auction in nearby Manheim. No less than six meat processing companies operate retail stands at this massive Tuesday foodie paradise. Every stand is clean, and variety abounds. Yet Hummer’s is one of the most competitive and attended by the thousands who visit there for this weekly one-day family outing where everything from antiques and clothing, candies and baked goods, to produce and livestock are sold and auctioned. Hummer’s also has a one-day-a-week stand at the York Eastern Market. Jeff’s son Ryan has operated a family stand for the past 15 years at Harrisburg’s Broad Street Market and last year took over its ownership. Hummer’s has seven family members involved in full-time and part-time roles. With them included the company has five full-time and 12 part-time employees. “Our Mount Joy location staff also operates at the farmers’ markets, getting the product there and selling it,” Jeff details. “We have grinders, saws and slicers at every location to always cut fresh products. “Getting and keeping reliable employees is a challenge but we reward those who are attentive and move them to roles in managing inventory or greater responsibility,” he says. Advertising is limited to social media contacts and an area tabloid-size newspaper called The Merchandiser. But the company also sponsors ads in local sports and athletic programs. Balancing so many operations involves ordering, arranging delivery and sales people, inventory control and payroll, but Jeff still handles the bulk of actual meat cutting behind the service counter. The same staff trucks products from the Mount Joy location cutting room to the outside markets. Jeff’s brother Doug and his son Rick, along with Jeff’s nephew and longtime employee Jim Rank manage the Root’s farmers market stand and the market stand in York. Mail orders can be filled and shipped for customers who come into the store. Most packages are shipped by UPS or the US Postal Service, but the firm ships only smoked meats and cheese and limits what it sends out during hot weather months. 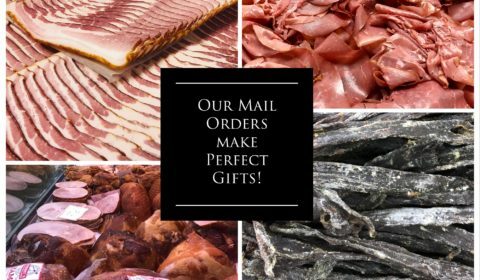 A peek at their colorful website at hummersmeats.com shows off their variety and quality standards for their online store as well as their variety of meat bundles, gift boxes and even monthly specials, like the Santa Sack offered at Christmas time to the Hunter’s Special. Bundles vary from $39 to $199, offering gift-giving opportunities to their customers, or a special way to fill their home freezers. Supermarkets and buyer club stores attract customers with flashy ads and so-called specials, but Jeff says his company gives the customer what they want, not what the shop wants to sell them. Unless one can stop by for a visit to this thriving meat specialty business, it is hard to visualize a rare meat shop so well done.